Which Udo’s product is best for you? Get healthy. Stay healthy. Udo’s Oil. Which Fats are Truly “Essential”? Udo’s Choice products have been used by sports men and women for over a decade. As they push their body to the limit their nutrition can often make the difference between winning and not and regardless of your sporting prowess nutrition can help us all reach our personal best – whatever your sport. With it’s range of Omega Oil products, greens, microbiotics and digestive enzymes Udo’s Choice can help ensure that you have the best possible foundation for optimum health and fitness. We recommend Udo’s 3-6-9 Oil Blend and Udo’s Beyond Greens. Good nutrition plays a key role in any sporting field and this entails feeding the body with fibrous carbohydrates, a good range of protein sources and essential fatty acids, the latter often being the most lacking. Getting Essential Fats into your body is often the missing link in many people’s diet and can restrict athletic performance. Why do I need Essential Fatty Acids? Essential Fatty Acids provide your cells with the nutrition they need in order to function properly (See below for the “sciencey bit”!). Without them they do not operate as well as they could and this can affect overall health, muscle recovery, joint suppleness, energy, stamina and ultimately for the sports enthusiast, athletic performance. Improved membrane regulation – the essential fatty acids (EFAs) will make your cell membranes better configured for transport of nutrients in and waste out. They do this by regulating the fluidity of the membrane, so that transport proteins can work correctly. Think of it like the gates in and out of a sports ground – if they are rusty and seized, then flow in and out is no good, but once they are well oiled, then movement is restored to its original optimum. Improved fat metabolism – by activating certain pathways (known as PPAR ), EFAs change the way your genes are interpreted. This leads to better fat burning, and less fat storage. The fat burning is both from food in the diet, and from your body, so combined with the reduced storage, you are effectively tuning your body to use fat rather than hold on to it. Fat burning more effective for endurance and strength sports – Carbohydrate based diets are great for short bursts of energy but can lead to slumps without regular refueling during an endurance or strength event. Fat, on the other hand burns slowly and steadily, providing a longer and more stable fuel source. Two independent research studies investigating the use of Udo’s 3-6-9 Oil Blend in Elite strength and endurance athletes found that it lead to improved energy levels and endurance. We also measured cardiovascular risk factors. After 106 days, their resting blood glucose was slightly lower, triglycerides were significantly reduced, ‘good’ HDL cholesterol was significantly higher, ‘bad’ cholesterol was down significantly, and HDL/LDL ratio was better. The foods we eat are broken down by digestive enzymes and if these are lacking we tend not to be able to absorb all the nutrients into our body. The enzymes naturally found in our foods are often destroyed by either processing or cooking, so taking Udo’s Beyond Greens may help you to fully absorb the nutrients in the foods you eat so that your body is fully prepared for training. Omega 3 is well known for it’s anti-inflammatory properties and so a good source of Omega 3 can help with keeping your joints in top form when you are pushing them hard. Essential Fatty Acids are important for every cell membrane to function at its best and if muscles and joints are to recover quickly after training then the cells that make up the muscles and joint tissues need to be able to work at their best. Anyone who participates in sport, physical activity and/or exercise knows how frustrating suffering from an injury can be. While rest and recovery is essential, the right nutritional plan can also assist with the healing process. Immediately after exercise and particularly an injury the healing process begins. First of all ‘clean-up’ cells are sent to the injured area to remove damaged tissue. This is followed by an inflammatory response that includes laying down collagen fibres and rebuilding healthy connective tissue. Nutritional support can help to speed up this process. Omega 3 fatty acids help to produce chemical mediators which regulate inflammation, blood clotting, vascular dilation and immune suppression, which all help with recovery. 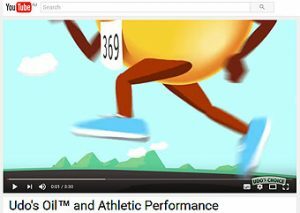 In a study undertaken in Denmark, athletes who were given Essential Fatty Acids by including Udo’s 3-6-9 Oil Blend in their diet, reported that they recovered quicker after exercise. Many of the athletes involved in Ultra-running, a sport that pushes joints and muscles to the limit recommend Udo’s 3-6-9 Oil Blend for helping the recovery process as well as providing them with an ideal fuel source for endurance training. Adding Udo’s 3-6-9 Oil Blend to the diet helps lubricate the soft tissue around the bones. One of the most beneficial symptoms we hear from regular users of Udo’s 3-6-9 Oil Blend is a reduction of joint pressure. The essential fatty acids in Udo’s 3-6-9 Oil Blend may help to lubricate the soft tissue around the bones and help to improve joint pain. There are three key nutritional aspects to assisting with joint health. So much joint pain is down to inflammation within the joints. Omega 3’s turn into powerful anti-inflammatory compounds called resolvins which help control this inflammation. Essential nutrients (those our body needs but cannot make itself) help every cell in the body, including those involved in joint function, to work properly. Some of those Essential Nutrients specifically help reduce inflammation and we need to ensure we obtain enough of these Essential nutrients including Omega 3. Reduce the amount of toxic molecules in your body. You might sweat these toxic molecules out during exercise or detoxing but better to avoid eating them in the first place. 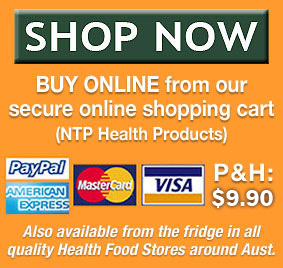 Avoid processed foods as parts of modern processing techniques cause damage to oils turning them toxic. Avoid all processed cooking oils for the same reason and do not heat oils to extreme temperatures during cooking, such as frying. Rather cook food in water and pour oil onto the food after cooking. 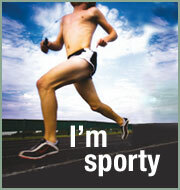 Athletes push their joints hard and are often more prone to joint pain or tenderness than normal. In a study into the effects of Udo’s Oil on athletes carried out in Denmark, the participants reported a reduction in joint pain and tenderness and though subjective these personal observations further supports the large amount of evidence that Omega 3s help assist in joint pain reduction.